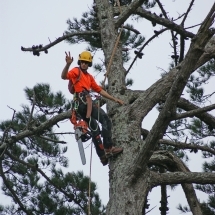 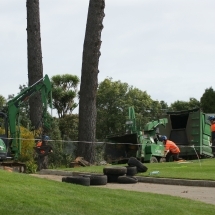 Treesafe Limited were contracted by Remuera Golf Club to remove a large stand of dead and dying Pine trees which overhung their main entrances. 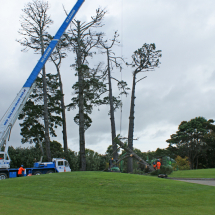 We used NZ Crane Hire’s 50 tonne mobile crane which was set up on our track mats. 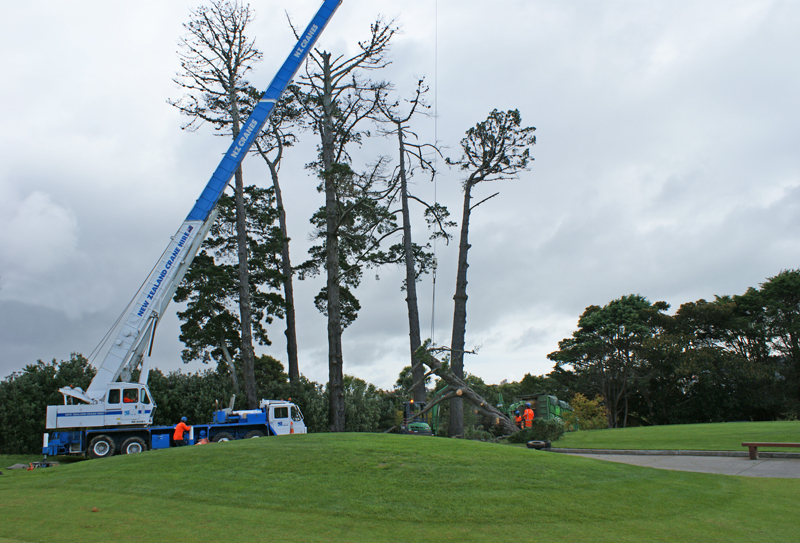 The trees were lifted down in sections using the crane to ensure no damage was done to surrounding gardens, roads and Golf Course. 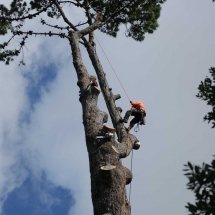 All foliage and log smaller than 19? 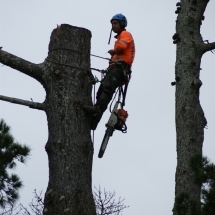 diameter were chipped and removed from site. 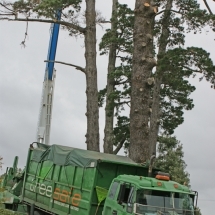 All log was loaded onto a logging truck and removed from site.